New Chinese leader Xi Jinping has an opportunity to end ‘cultural genocide’ and restore human rights for the country’s minority groups. China's Communist party just wrapped up its 18th Congress with elaborate declarations of national unity and social harmony, and the announcement of their wholly unsurprising choice of new leader: Xi Jinping. He and the country's other newly annointed leaders will have their hands full dealing with rampant corruption, a slowing economy, demands for political freedoms, widespread environmental pollution and a host of other problems plaguing the world's most populous nation. But one of their most serious problems got little attention in Beijing this past week: the simmering unrest among China's Tibetan and Uighur minorities. Their longstanding, legitimate grievances aren't going anywhere – and will no doubt boil over again unless the country's leadership responds to their suffering. More than 91% of China's people are of the Han ethnic group, which is what foreigners usually picture when they think of the Chinese. But there are 55 other groups with a wide range of cultural, religious and linguistic differences. Some, such as the Hui, are more or less indistinguishable from the Han, except that they are historically Muslim. Others, such as the Uighurs and Tibetans, have retained not only strong cultural identities, but occupy ancient territories that have been incorporated into China. Take a sense of injustice at having been dominated in their own land, add in a dose of the historical Han attitude that minorities are inferior "barbarians", and you can see how Tibet and the Uighurs' western province of Xinjiang have remained tinderboxes of unrest. Xinjiang, an energy-rich region three times the size of France that sits along China's western border, is home to most of China's Uighur (pronounced WEE-ger) minority. They're related to the Kazakhs and similar Muslim ethnic groups in central Asia. Xinjiang exploded into violence in 2009, when news of the deaths of two Uighur factory workers in southern China triggered rioting that left more than 150 dead, as Uighur and Han Chinese mobs battled in the streets of Xinjiang's capital, Urumqi. Officials in Beijing sent in troops to quell the rioting, and Beijing has since maintained a tight lid on any hint of revolt. But seething resentments among the Uighur population remain. They have seen an influx of Han into the province that has made them a minority in their own land, and Uighurs blame the Han-dominated government for economic discrimination and disrespect for their religion and culture. They point to government attempts to ban fasting during the Muslim holiday of Ramadan as just one example. Beijing blames the unrest on the World Uighur Congress, an exiled rights group. But Uighurs living in Xinjiang see it very differently: they widely fear that Beijing is trying to eradicate them as a people, by subsuming them into the dominant Han culture. 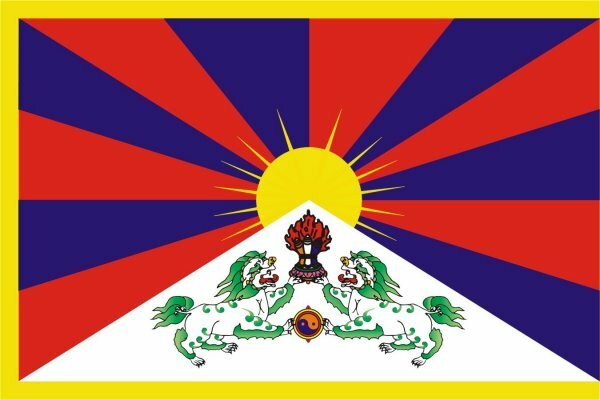 Tibet, too, continues to simmer. While Beijing insists Tibet has been part of China for centuries, Tibetans say their culture is under assault. The Dalai Lama, who embodies Tibetan Buddhism for millions of followers, has said China is committing "cultural genocide" in Tibet. The Dalai Lama escaped Tibet in the wake of a failed uprising against Chinese rule in 1959 and has been in exile in India ever since. After an outbreak of protests in July 2008 that turned violent and left dozens dead, Chinese officials have brutally stamped out further demonstrations. Beijing has refused to negotiate greater autonomy for the region, claiming any discontent is being caused by "the Dalai clique". A number of frustrated Tibetans have turned to the dramatic and horrifying tactic of self-immolation. Dozens have set fire to themselves since 2009, to call attention to the ongoing suppression of their people. The just-ended Chinese Communist Party Congress was marked by eight young Tibetans burning themselves during the week-long meeting. The Dalai Lama has called on Beijing to investigate why this is happening, and to end its harsh treatment of dissent in Tibet. But officials have responded with the standard boilerplate vitriol against the Tibetan leader. Now, with new leadership in place, Beijing has a fresh opportunity to reset both of these conflicts. A good place to start would be trying to understand why millions of people in these vast regions are so desperately dissatisfied. Blaming it all on exile agitators is both dumb and dangerous. Chinese officials have been unwilling to see how "Han chauvinism" blinds them to the value of the Uighur and Tibetan cultures. They seem stuck in the notion that if they eradicate the "agents of instability" with sufficient brutality, eventually these "backwards" people will realise the benefits of happily assimilating into mainstream Chinese culture. That's a bad bet. Tibetan leaders are instead hoping the leadership transition will open up chance for China to step back and seek a more constructive approach. China's leaders would be wise to pick up that olive branch.